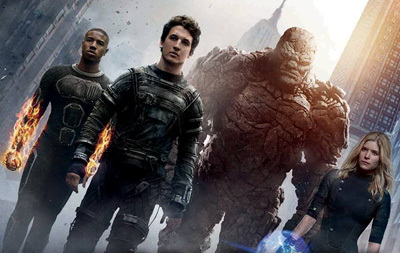 Fantastic Four Reviews – What Did You Think?! 20th Century Fox’s Fantastic Four is now playing in theaters and we’ve created this spot for you to tell us and your fellow moviegoers what you thought about the Josh Trank-directed film, starring Whiplash‘s Miles Teller as Reed Richards (Mr. Fantastic), “House of Cards” star Kate Mara as Sue Storm (The Invisible Woman), Fruitvale Station and Chronicle‘s Michael B. Jordan as Johnny Storm (The Human Torch) and The Adventures of Tintin‘s Jamie Bell as Ben Grimm (The Thing) alongside Reg E. Cathey (“The Wire”) as Dr. Franklin Storm, and Tim Blake Nelson (O Brother, Where Art Thou?) as Harvey Elder, aka The Mole Man. You can write your Fantastic Four reviews in the comments below, and you can also check out our review here.